A long time ago, I thought thermal spring water sprays were a placebo product. This was until I watched Into The Gloss’ video with French facialist Isabelle Bellis. 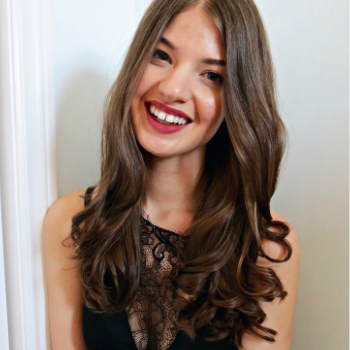 In the video, Isabelle Bellis tells you how to moisturize and recommends products. She also explains how your environment plays a factor in your skincare. She then began to talk about how France’s tap water is hard, has a high mineral count, and can cause dry itchy skin. Leading French Pharmacy brands to create micellar waters and thermal spring water sprays. Thermal water sprays main ingredient is low mineral count water located underground. The water contains healing properties and is exempt from bacteria and pollution. They have the ability to reverse the harsh effects of tap water, calm itchy skin, and hydrate dry skin. 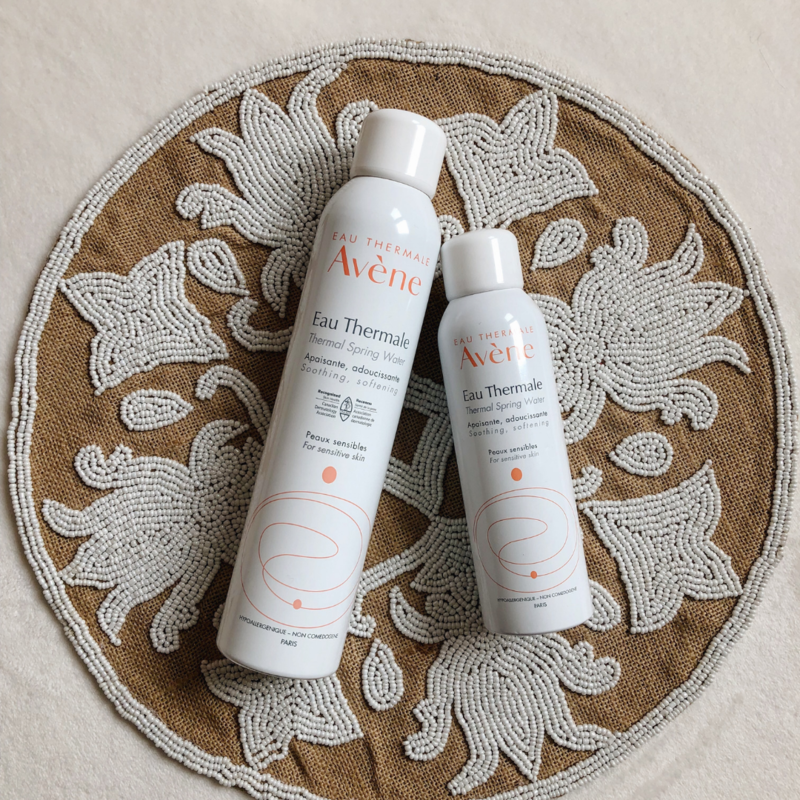 I use the Avene Thermal Spring Water Sprays (US Link) for my rosacea flare-ups and to calm my dry skin that is prone to becoming itchy. After cleansing in my AM and PM skincare routine, I spray thermal spring water. I then pat dry my face with a microfibre towel and apply the rest of my skincare routine. 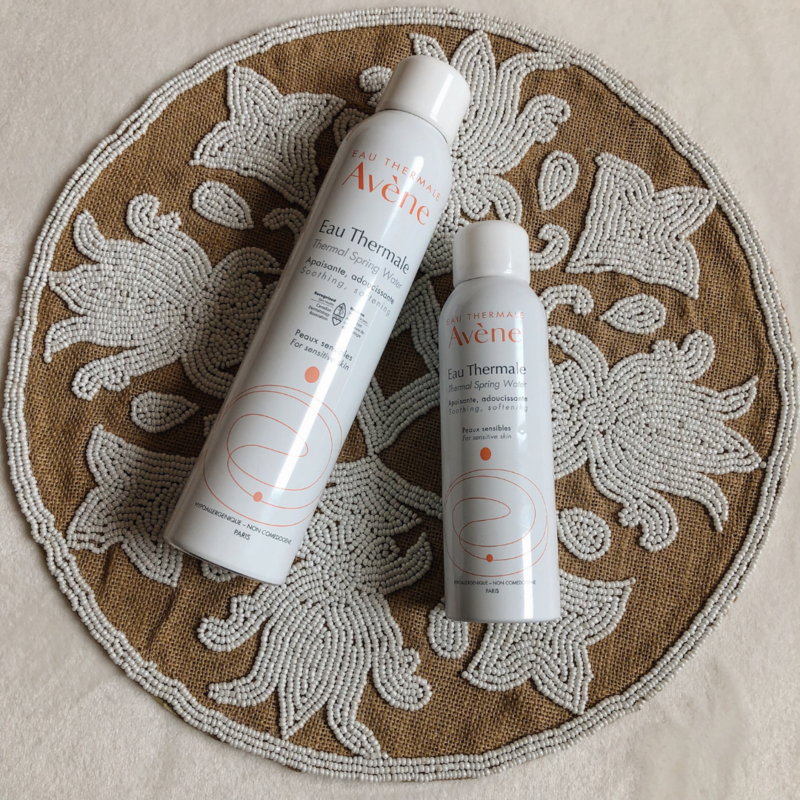 Do you use thermal spring water sprays? It could be the magic product you need in your skincare routine.